The ICC World Cup is just around the corner and most teams have zeroed in on their possible squads. India will not play any more international cricket till the World Cup and hence will have no more chances to try out players. However, they still have a couple of gaping holes in the squad; the biggest one being the No.4 conundrum. 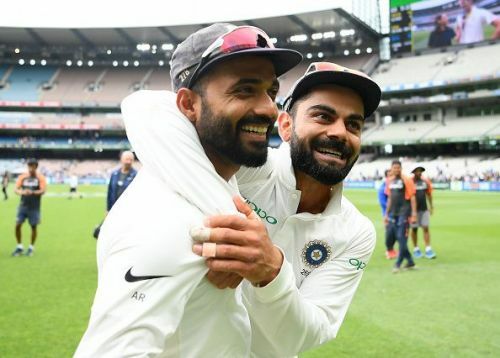 Moreover, India is yet to decide on who the back-up wicket-keeper will be, while KL Rahul has never really proved himself in the 50-over format as an opener. This means that India is not sure about their back-up opener yet. India's squad is far from finalized and this chaos brings one man into the picture out of nowhere: Ajinkya Rahane. The test team vice-captain last played an ODI for India in February 2018 against South Africa. Although it has been a year since he has played in the format, he is a strong contender to board the flight to England due to India's batting issues. The World Cup will be held in England and conditions over there are completely different from those in India. The ball will swing and seam throughout the innings and first-timers could face a lot of problems in adjusting to them. Rahul played every game when India toured England in 2018, and his performances were far from impressive. He could succeed only in the 1st T20 and last test of the entire tour and had a cluster of failures in between. So, India wouldn't be overly confident of picking him and Rayudu has hardly played in England. Will Ajinkya Rahane's inclusion in the World Cup squad resolve Team India's quandary?